One of the most interesting fact at Munnar is that you won’t find a single fan at any of the houses, cottages or hotels. No ceiling Fans !! No table fans !! The atmosphere at the place is pleasant and cool 24×365 hours of a year. At night , the temperature falls to even 10 Deg C or less. At the center of the roof, which is generally the place of a fan, one can see electrical plug point for a light bulb or decorative lights. We had a good sleep that night. Though the atmosphere got excessively cold that night and add to that We hadn’t taken any blanket . But it wasn’t a point of worry, as all cottages, hotels, lodges provide blanket and hot water as a compulsory facility there. I just couldn’t think of a life at munnar without hot water !! The water is so cold that one would freeze instantly if took bath in that. The very next day, we woke up at 8 AM when the first rays of the sun hit our face. We completed the daily routine and went out for sightseeing of the main route of Munnar- Top Station Route. We had already told the previous day-cab driver to come at 9AM. 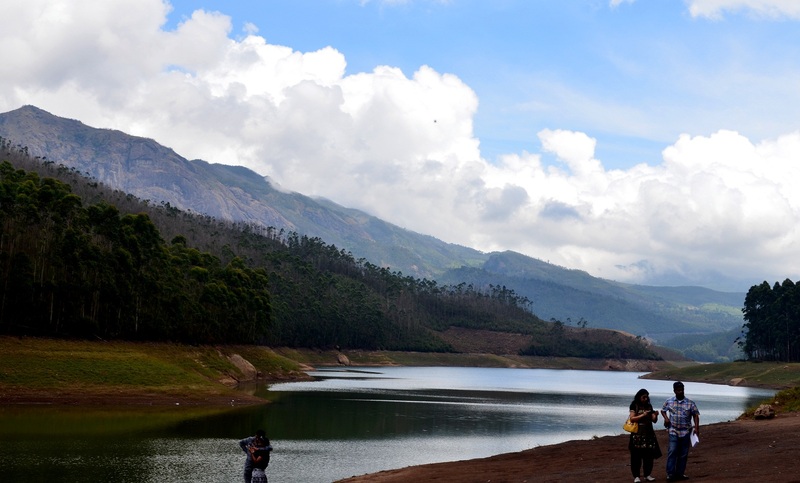 Madupatty Dam– It is one of the must-visit point at Munnar. 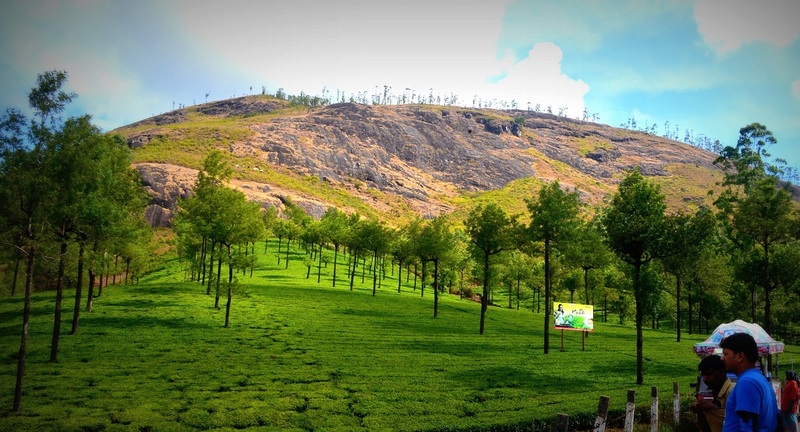 It is located around 13km from Munnar town. 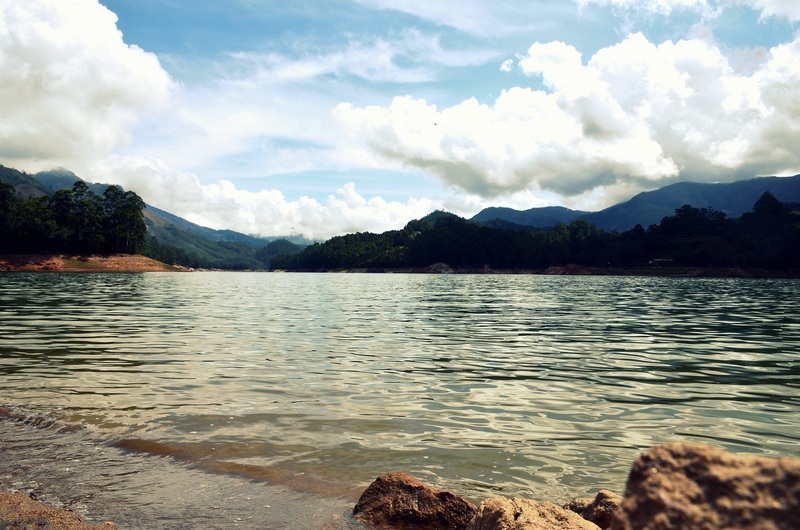 The view of the lake with background mountains was just breathetaking. At the nearby local market, one can get caps, goggles. If you are a foodie, you will get a plenty of items to try your tastebuds. But most of the shops sell cashewnuts(RS 260/- per kg) and home-made chocolates here. Speed-boating at this madupatty dam is a must if you are travelling ever here. The booking cost is RS 500/- per boat. And the maximum allowed persons per boat is 5. If you are single or two persons, you can club with others and book a boat. This boating facility is provided by twi groups there-Kerala govt and Tamilnadu govt. No compromise with safety. !! You will be asked to fill up a form with your personal details and will be asked to wear a Life-jacket. The ride is extremely thrilling. The riders are trained ones and exactly know what the customers are looking for. The turns, twirls, twists of the ride will give you worth of your money. And ofcourse the scenic beauty of the surrounding of the lake during the ride will mesmerize you. 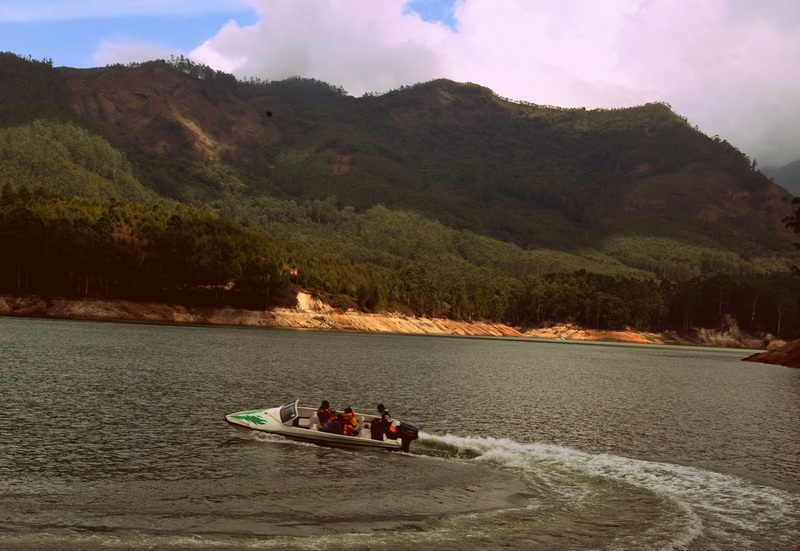 Echo Point– It is located at a 15 mins ride from Madupatty Dam. According to the nomenclature, it is aptly named on its feature. You can hear your own voice echoed from distant mountain. In addition to that, the picturesque of the location is marvellous. Paddle-boat facility is available here. Horse-riding can also be done here. A good market is also there at this point. Kundaly Lake– After Echo point, on the way to Top station , this lake falls. A good place to enjoy some scenic beauty and paddle-boating. 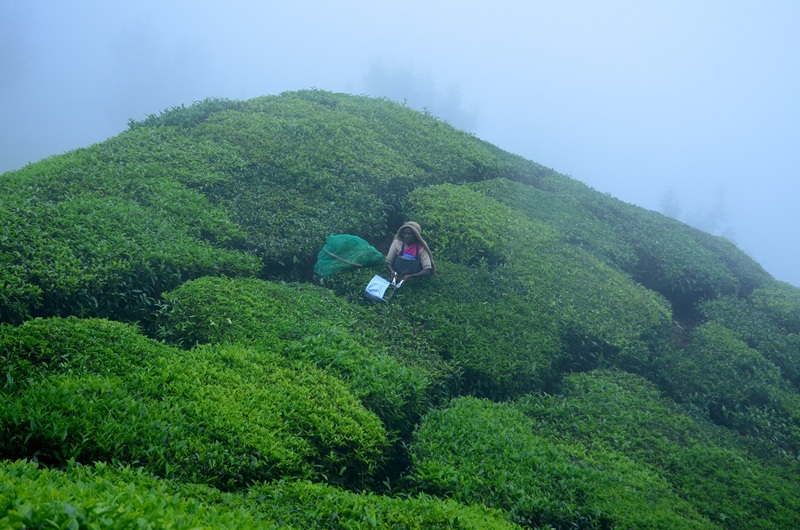 Top Station– This is the top point of Munnar. It is like heaven on earth. When we reached at the Top point, one could hardly see anything. Everywhere there was cloud, cloud & cloud !! Whitish smoke was everywhere. The clouds clashing in the face and the chilled weather giving us goosebumps. We parked the vehicle there and walked down the road. I could hardly see bare a meter away. We went into the tea garden , sat there & enjoyed some drinks , Lays and cashew nuts bought at Madupatty Dam. 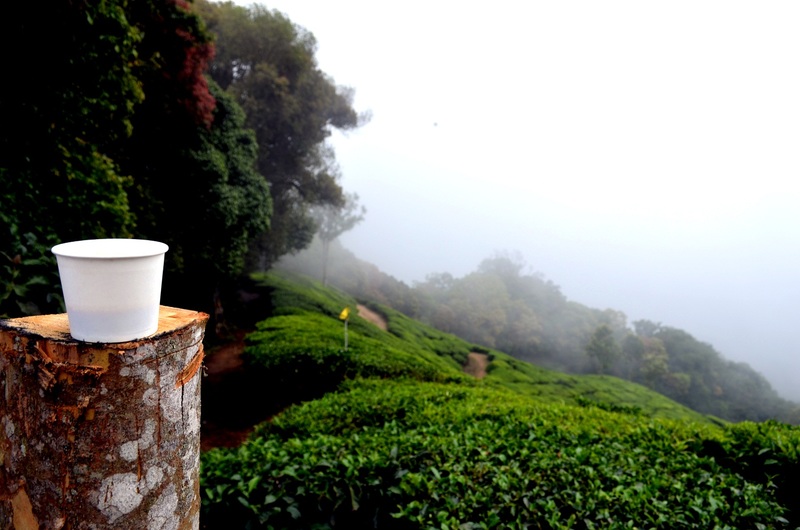 Don’t forget to bring some drinks from the Munnar town while coming to Top station. You won’t get anything at top station. Sitting in the tea garden… enjoying drinks…. with clouds clashing in the face…. condensating into water-droplets on your eye-lids…. surrounded by misty mountations. Oh Man.. !! This must be heaven… The peace , tranquility and calmness of the place was just like that sweet cream on the blackforest cake. I felt like staying there for a day. But circumstances didn’t allow. If you are going to Top station, plan one day stay at the Top. It’ll be a Life time Memory to cheer about. There are plenty of cottages and lodges at the top also. Food may be a probelm. After taking a nap for a while amidst those tea-garden, we retunred back. On the way, we saw localites cutting tea tree leaves. We also cut a few leaves. The moment I approached to the woman cutting leaves, he handed over me the knife immediately. It must be a regular case for them. It was so easy yet so hectic job. Then we came back to the point, where our vehicle was parked. There was a tea shop there. We had a cup of tea sitting in the trecherous tea garden. Even at this much of height, except tea , another yummy thing was available at that shop. What that could be !!?? No doubt… Our savior… Maggie….. 😀 Then we retuned back. Elephant Park– On our return journey from Top station, we visited Elephant park. Already too many people were on waiting-list for elephant ride. As we had already done the elephant ride the previous day, so we moved forward. Normally , here minimum running charge is RS 700/- and RS 350/- per head. 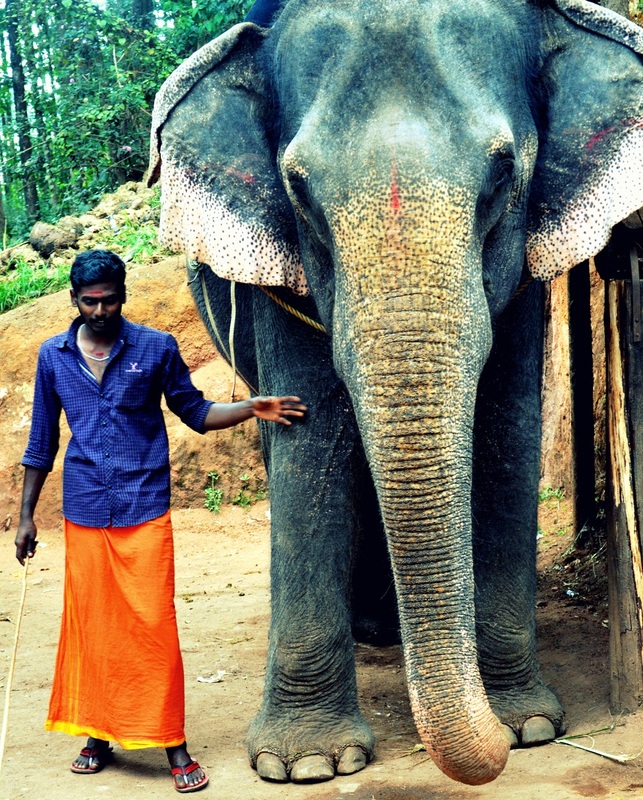 For feeding the elephant, they charge extra RS 300/-. They have professional photographers. For taking photos, they charge RS 250/- per head. They write the photos in a CD and give that to the person. But I must say those photos really had a professional touch. 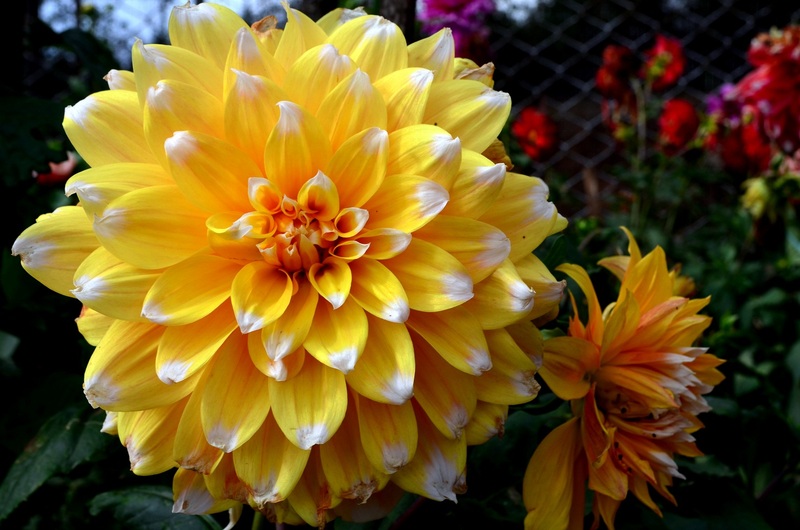 Rose Garden– There is a Rose garden only 2km away from the town in the Madupatty direction. The enrty fees per person is RS 20/- and extra for still and professional cameras varries from RS 20/- to RS 50/-. They have a good collection of flowers and decorative plants. We clicked 100s of photos there. But to our utter misfortune, the memory card got corrupted all of a sudden and left us in a havoc state as there were 1500+ photos. But Thank God !! I had a back up memory card. We continued with the photography session. Later I retrieved around 1200 photos from that corrupted card. Well… something is better than nothing ! On that same route we had also covered Forest Honey Bee Hive, Shooting Point, Elephant Arrival Spot(But No Elephant was there !! 😦 ). 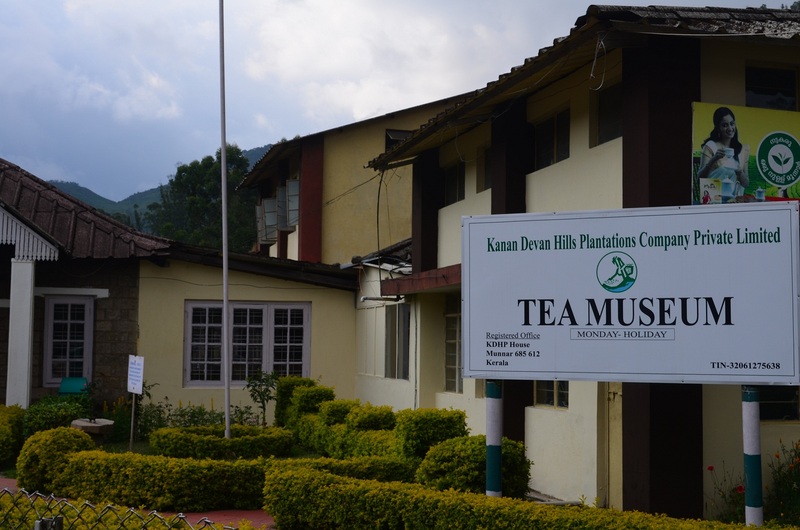 Tea Museum– Then we moved to the Tea Museum located in the coimbatore direction. But it was already 4:30 PM. And the entry to the museum was closed 😦 . The entry time to the Museum is from 9AM to 4:30PM. In 1 hour visit, they describe the tea manufacturing for half an hour and show a film based on the history of tea for rest half an hour. One could buy fresh tea here at very cheap rate. That was for the day. Then we returned to our room. That night, we packed our luggage and went to bed early. As we were extremely tired and we had to catch a bus at 5:10AM in the morning to our next destination-Kochi. 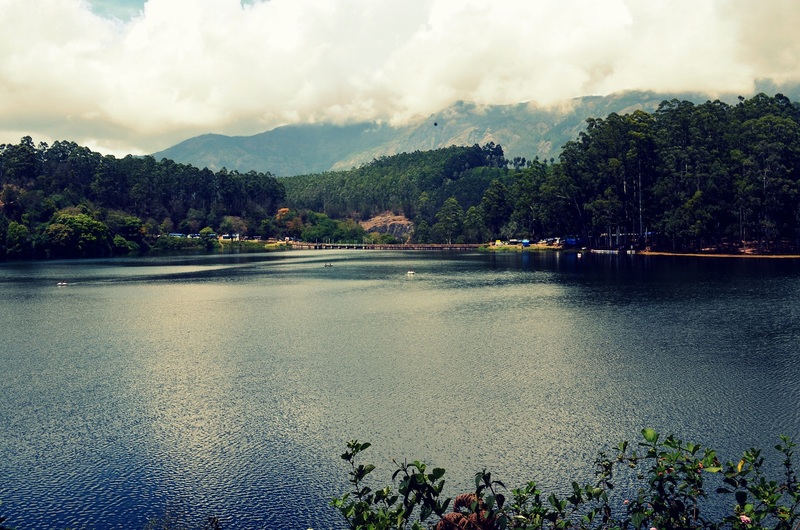 Categories: Uncategorized | Tags: Echo Point, Elephant Park, Forest Honey Bee Hive, kanan devan, Kundaly Lake, Madupatty, Madupatty Dam, Munnar, Photo Point, Rose garden, Tata Tea Museum, tea museum, Top Station | Permalink.